It’s amazing how much Flash-based storage technology has advanced in the last few years, especially considering how much prices have dropped. Naturally, when it comes to speed, capacity and price, consumers tend to look for the lowest price; as manufacturers race towards the bottom line, many will take the low road and sell counterfeit goods. This is especially prevalent in the NAND Flash market, and online marketplaces like eBay, AliExpress and even Amazon are fraught with countless fake storage devices that claim high capacities at too-good-to-be-true prices. It’s not uncommon to see unrealistic capacities sold for a few tens of dollars, but what the customer ends up receiving is a storage device with a falsified capacity that will pass a simple copy-paste test but will corrupt itself with extended use. While browsing eBay for some deals on some Flash storage, I happened upon a very strange-looking 512GB SDXC card. It was listed as an OEM Lexar card but had no labels, selling for an unprecedentedly low price of $60 USD (the card would cost several times more at normal retail outlets). On the outside, everything about the card’s exterior seems to raise a red flag that the card is not to be trusted. Upon closer inspection, there are some hints that one shouldn’t always judge a book – er, card – by its cover. The laser-etched markings might look like cryptic gibberish to the layperson, but the markings “SM2702BAC” and “L95B” have actual meanings; the SM2702 is an SD card controller by Silicon Motion, and L95B refers to the 16nm generation of MLC NAND Flash by Micron, which owns the Lexar brand (but unfortunately is being discontinued). The seller also says that the cards have been tested, which is reassuring. I decided to take the plunge and plunk down about $80 USD including shipping (or $105 CAD at the time) and buy a card for myself. After waiting a few weeks, the card showed up in my mailbox. The seller did a very good job packaging it, even placing the card in an ESD shielding bag before wrapping it with foam and placing it in a bubble mailer (it’s much better than the plastic wrap I’ve had some used i7 CPUs by a huge amount). The card looks very plain, with the top label area lacking any labeling, and the same laser-etched markings on the back. The card’s contacts indicate that it has been placed in a card reader a few times before (presumably for testing). I used my old Gateway M-7305u laptop with Kali Linux to see what information the card reports. These older laptops have true SDA (SD Association) compliant card slots, so they will identify as an actual SD card instead of a USB drive like with many modern laptops; in Linux these show up as devices like /dev/mmcblk0 instead of /dev/sda. By using the “dmesg -wH” command I can read the kernel logs once the card is connected to the computer. The card reports a capacity of 483 GiB (that’s binary gigabytes, or 519.6 decimal – a.k.a. “weasel” – gigabytes), but the SD card name is ” ” – five ASCII spaces. Everything about the card superficially rings alarm bells! However, I wasn’t phased, and decided to try the card in my Kingston FCR-HS4 USB 3.0 card reader, which uses the Realtek RTS5321 chipset. 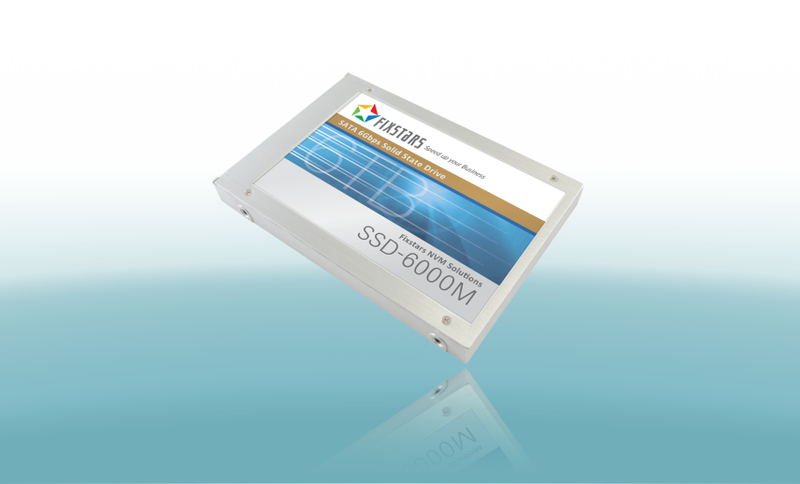 Examining the card in Windows shows that the card was formatted as exFAT with a drive name of “SDXC”, suggesting it may have been formatted by the seller with the SD Formatter tool. Looking at the raw sector data in Hard Disk Sentinel suggests that the seller indeed do a full capacity test, as the data patterns match that of the program H2testw, an excellent tool for detecting fake Flash memory. This is a good sign – the seller did their due diligence and by this point I already had a good feeling that the card is genuine. However, I wanted to test this for myself, so I ran the H2testw utility myself and let it run on the card. The write speed remained consistent throughout, which is a good indication that the card is not overwriting memory locations like in fake Flash storage (the card did get uncomfortably hot during the process, however). It took four hours to complete the write and read test, but everything came out clean – the card is genuine, even when every other sign says otherwise! With the card verified, it was time to put it to the test. The card showed sequential read speeds of 92.03 MB/s and sequential write speeds of 60.45 MB/s; the sequential write speed coincides with the seller’s rating of 400x (400 * 150 kB/s = 60 MB/s). The random 4K I/O performance isn’t great, especially with writes, but it isn’t bad either. The card managed 4K random read speeds of 6.644 MB/s (1700.9 IOPS) and 4K random write speeds of 0.671 MB/s (171.8 IOPS). In the end, I was satisfied – I got a 512GB SDXC memory card at a fraction of the cost from a normal retail outlet. It’s not exactly a speed demon, but it’s not a slowpoke either. The looks may be deterring for most folks (and rightly so), but with the right tools and knowledge, one can pick up one of these less aesthetically-pleasing memory cards and save some serious coin in the process. Hooray for nice hand-me-down SLR cameras! I finally have a better camera than the one built into my (now ancient) Samsung Galaxy S II that I use for pictures on this blog. The camera, a Canon EOS 50D, had an 8GB CompactFlash card that I was preparing to erase and reuse, and had problems trying to read out the card’s contents; a few stubborn files would refuse to copy and Explorer would simply hang until I restarted the program or unplugged the card. Additionally, when using my Hard Disk Sentinel program to do a surface scan, it too would freeze when reading a certain sector on the card. Instead of using a USB-to-CompactFlash adapter (I could not find my card reader and have not seen it for over a year now, come to think of it) I used a CompactFlash-to-PATA adapter, then a PATA-to-SATA adapter so I could directly hook up the card to my computer. In addition to having greater theoretical throughput, it allows me to view the S.M.A.R.T. diagnostic data that the card provides. The card itself isn’t very fast. The sequential I/O of the card is good enough for casual photography, but I would definitely not use this card in an embedded system that uses a CompactFlash as a sort of mini-SSD; even though it shows up in my system as a hard drive (non-removable), its random I/O is quite sluggish and its random write speed is worse than that of a standard hard disk drive. 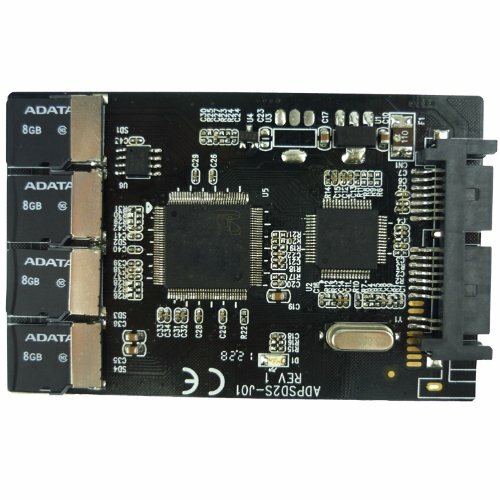 The card itself is a sandwich of aluminum plates, a plastic case and the PCB assembly that holds the controller, Flash memory and the CompactFlash connector. A hobby knife run under the aluminum plate was able to separate the plate from the plastic body; some glue and a couple clips were the only things holding the card together. The card’s controller is a Phison PS3006, which sports a PCMCIA (and therefore CompactFlash) interface with True IDE (or plain PATA) support. It contains an 8051 microcontroller core with a few components to assist with interfacing with the Flash memory, such as a hardware ECC (error correction code) engine and a small amount of SRAM for a buffer. The datasheet for the PS3006 doesn’t provide information on the S.M.A.R.T. attributes, nor does it indicate what type of Flash wear-leveling is provided. Given the controller’s limited computing capabilities, I’m thinking it uses a less-complex but less-reliable form of wear leveling, known as dynamic wear leveling (see Micron’s application note for more information). It’s less capable of dealing with memory wearout, but doesn’t require the computing overhead of static wear leveling (which proper SSD controllers use to keep performance up). The memory is an Intel 29F32G08AAMD2 device, which is an asynchronous MLC NAND Flash memory chip. There are two installed on this card with another two footprints on the PCB being unpopulated, suggesting that the 16GB version of this card has all four footprints populated.